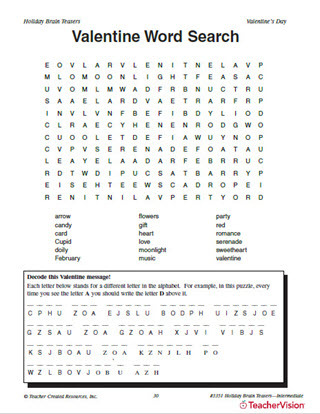 Strengthen your students' vocabulary in your Language Arts class with this Valentine's Day word search. All things related to love can be found in this printable activity! This brain teaser works well as an individual or cooperative group activity in class or as a fun paper to take home.